Across Grace Alley (2013) – What's New on Netflix Canada Today! 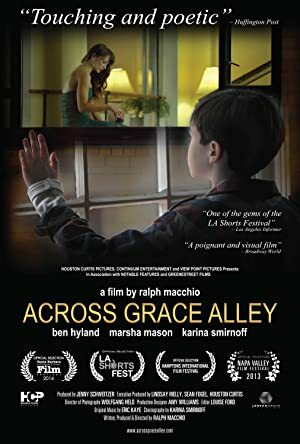 ACROSS GRACE ALLEY – A young boy struggling with his parents’ divorce seeks solace in his infatuation with a captivating woman he discovers through a neighboring window. This poignant and visual coming-of-age story illustrates how brief encounters can have profound emotional effects. Written and Directed by Ralph Macchio. The film stars new discovery, Ben Hyland, four time Oscar nominee, Marsha Mason and world-class dancer, Karina Smirnoff, in her film lead debut.